He was one of the two most influential men in my life; my father is the other. He was alsoÂ one of the most influential men you never heard of. HeÂ passed away on FatherÂ’s Day. 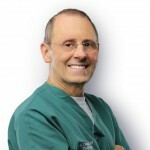 In a professional career spanning over 50 years, plastic surgeon D. Ralph Millard, Jr., MD, wrote or co-wrote 9 books, published 149 papers in peer-reviewed medical journals, and wrote 53 chapters in medical textbooks. He developed the operation used throughout the world today for the repair of cleft lips. He personally repaired thousands of cleft lips and palates. A supremely innovative surgeon with a lifelong thirst for perfection of his craft, he also developed numerous procedures and surgical instruments. He was an acknowledged master of one of the most difficult procedures in the specialty- total nasal reconstruction and his results sometimes looked better than the patientÂ’s original nose. 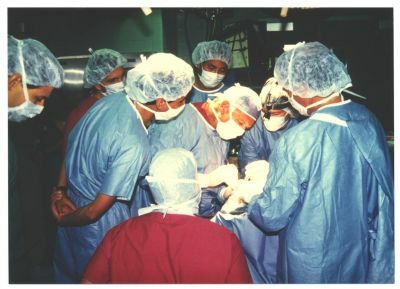 As impressive as these accomplishments were, perhaps his greatest professional legacy were the hundreds of residents and fellows that he trained in the science and art of plastic surgery over 28 years as head of the division of plastic surgery at the University of Miami/Jackson Memorial Hosptial. His list of students reads like a WhoÂ’s who of plastic surgery. Some have returned to their home countries to use what they learned to serve patients and, in turn, pass on this legacy to their own residents. In the U.S. many of Dr. MillardÂ’s protÃ©gÃ©s have become heads of training programs and trained several generations of plastic surgeons. Anyone who has ever required the services of a plastic and reconstructive surgeon has benefited in some way from the influence of Dr. Millard. In 2000 Dr. Millard was named one of the top 10 plastic surgeons of the millennium by the American Society of Plastic Surgeons and some would argue that he was at the top of that list. His influence is felt to this day. One of his unique and lasting contributions, not only to plastic surgeons but to readers in any walk of life was the publication in 1987 of his landmark book, Principlization of Plastic Surgery. Nominated for a Pulitzer Prize, it was unlike any other medical textbook. Written in a narrative style and copiously illustrated, it had something for everyone from the most accomplished surgeon to the interested non-medical readers. The book innumerated 33 principles of plastic surgery which could be equally applied to life as to the specialty. By emphasizing principles, which do not change, over procedures which become obsolete as the next best thing comes along, he insured that his book would be as relevant decades later as the day it was published. An imposing figure even in his 80Â’s, Dr. Millard had a steely gaze that could cause great discomfiture in any of his residents or patients who did not meet his lofty expectations for them. He demanded the absolute best of himself and those who trained under him. Stories about him are legion among those who knew. There was the applicant for a position in his program who arrived in the operating room only to be greeted by Â“the ChiefÂ” and instructed to go to the white board in the corner of the room and draw a horse! Dr. Millard was one of those rare surgeons whose waiting list of patients extended not weeks, or months, but years. He eschewed celebrities and felt more at ease with a young couple bringing him their child with a cleft and praying for a miracle. With Dr. Millard, they often got it. His passing closes a glorious chapter in the history of plastic surgery in the U.S. and abroad. Dr. Millard was my professor and mentor for 2 years. I have been grateful ever since.